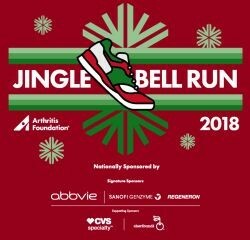 For all participants, registration includes long sleeve t-shirt, jingle bells, bib (chipped for runners, unchipped for walkers), warm cookies from AbbVie and Hot Cocoa from Toledo Clinic! The Express Pass… What does it include? Can I use a discount code on it? Long sleeved fancy/sporty tech shirt, timing chip, finisher medal, express packet pick up, access to the VIP Area, and an increased donation to our mission! Can I raise the $75 through fundraising to participate and receive benefits? No. This is a registration option only. Can I use a discount code on the Express Pass registration? No. Discount codes will not be allowed on any Express Pass registrations. Click here for recognition items. Bugbee & Conkle are giving prizes to the top female and top male runner (fastest time), too! Do I need to be a serious runner to do this? Nope. This is a fun run for anyone with all the bells and whistles serious runners are looking for. We welcome both the serious runner (our course is USATF certified and medals are given for categories below) and to anyone who just wants to have fun. Run, walk, or wheel; however you want to jingle. *Times and Location subject to change. All registrants will be notified of final schedule. This event will be held rain or shine except in the case of severe weather (i.e. thunder, snow storm, hail, ice). The safety of our participants and vendors is our utmost priority: in the event of cancellation, all registered participants will be emailed and all team captains will be called. Also check our Facebook pages, @ArthritisOhio and the Jingle Bell Run Columbus event page. No refunds will be given due to inclement weather. Your registration is a 100% donation and you will receive a tax letter. Can I run with a jogging stroller? My dog? Jogging strollers are allowed. Waggers are welcome (they get arthritis too! ), but must stay outdoors at all times. In-line skates, skateboards, bikes and all other pets are not permitted. 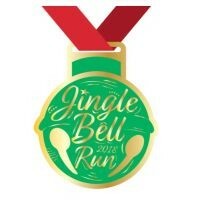 A link will be emailed to all register jinglers post-race! Oops! I lost a personal item at the event…. Lost items that were found and turned in will be returned to Arthritis Foundation office after the event. Please email emartin@arthritis.org. Let us know! Email Liz at emartin@arthritis.org.